High-quality keyboard dust cover for ARTURIA Beatstep Pro. Available in Microfibre, Polyester or Synthetic Leather. High-quality keyboard dust cover for ARTURIA Keylab 25. Available in Microfibre, Polyester or Synthetic Leather. High-quality keyboard dust cover for ARTURIA Keylab 49. Available in Microfibre, Polyester or Synthetic Leather. High-quality keyboard dust cover for ARTURIA Keylab 61. Available in Microfibre, Polyester or Synthetic Leather. High-quality keyboard dust cover for ARTURIA Keylab 88. Available in Microfibre, Polyester or Synthetic Leather. 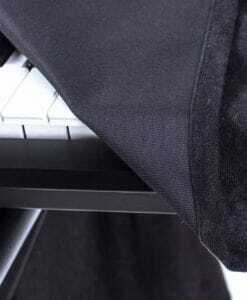 High-quality keyboard dust cover for ARTURIA Matrix Brute Closed Position. Available in Microfibre, Polyester or Synthetic Leather. 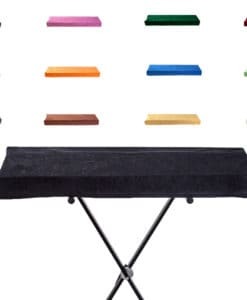 High-quality keyboard dust cover for ARTURIA Microbrute . Available in Microfibre, Polyester or Synthetic Leather. High-quality keyboard dust cover for ARTURIA Microbrute Se. Available in Microfibre, Polyester or Synthetic Leather. High-quality keyboard dust cover for ARTURIA Minibrut . Available in Microfibre, Polyester or Synthetic Leather. High-quality keyboard dust cover for ARTURIA Minibrute Se. Available in Microfibre, Polyester or Synthetic Leather. High-quality keyboard dust cover for ARTURIA Minilab . Available in Microfibre, Polyester or Synthetic Leather. High-quality keyboard dust cover for ARTURIA Origin Keyboard. Available in Microfibre, Polyester or Synthetic Leather. High-quality keyboard dust cover for ARTURIA Spark Le. Available in Microfibre, Polyester or Synthetic Leather.